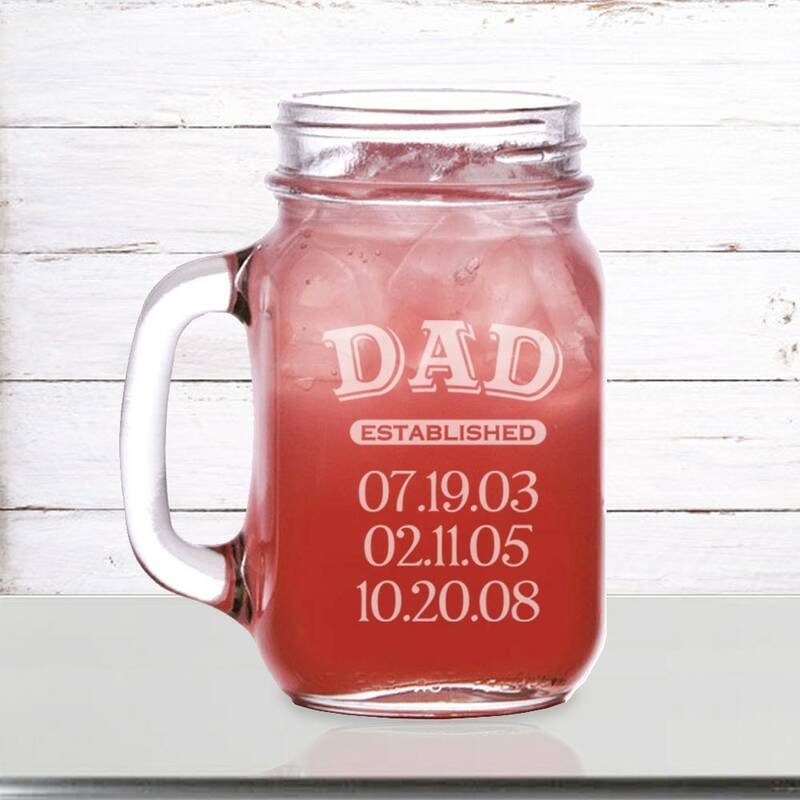 This mason jar mug is precisely laser engraved directly into each 16 oz. glass creating a frosted look. Since this is engraved onto the item it will last a lifetime! Preference options will be for the hand you hold it in and the engraving will be facing forward. (if you would like a different preference for each mug you order leave a note at checkout). What a great way to personalize a cup for my dads birthday!